Ants can be pesky, whether they are biting your ankles of ruining your garden most people do not want them around. Fire ants specifically can be a major annoyance because they are very aggressive compared to other ants. Their painful bites and mounds/holes can be quit annoying when taking care of your yard. By now you have probably tried a whole list of solutions you heard can get rid of fire ants, to no avail. If you would prefer professional help, please call us at (904) 721-0182. For those who would prefer to kill ants without using pesticides there are quite a few ways to do so. While not as effective or quick as calling a professional, some natural methods will save you a couple bucks. Method 1: The first natural method is using crushed garlic as a deterrent. They have a really strong sense of smell and cannot stand the smell of crushed garlic. This will keep them away from specific areas but will not kill them. This will need to be repeated when the garlic dries. Another natural deterrent is ground up coffee. Coffee grounds also have a strong scent that the ants don’t like. Method 2: Another natural method to kill ants is using baking soda. While baking soda can be great for humans it wreaks havoc on ant’s chemistry. You want to make a natural ant bait using equal parts powdered sugar and baking soda. 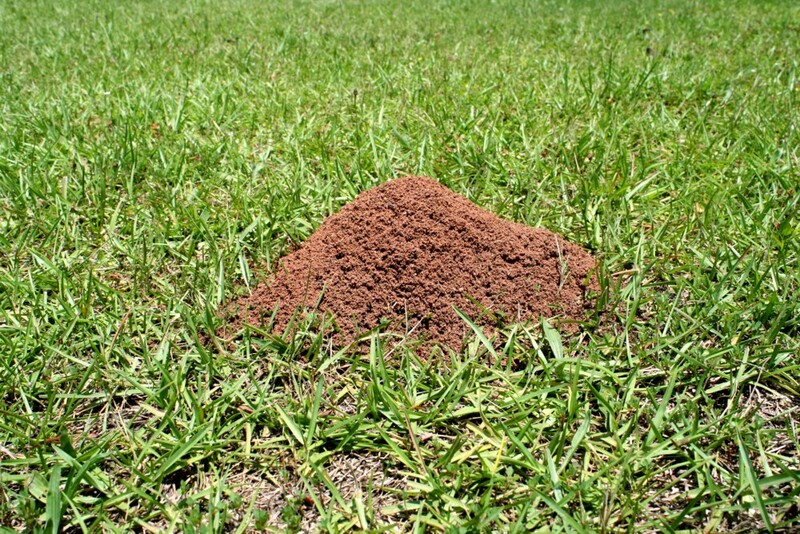 Now setup your bait where you see the ants most active. The ants will take the bait to their home and will slowly kill the colony. This also will need to be repeated but can completely kill an ant colony in 2 weeks. These methods are not as effective or quick as getting professional help but can get the job done. For those prepared to use more drastic measures we recommend using ant killing pesticides. Any store-bought ant killing chemical should work. There are two different kinds of ant killing chemicals. There are liquid chemicals, and powdered chemicals. Both choices work but liquid chemicals seem to be the easiest and most time efficient. Method 1: With liquid chemicals you want to pour them directly into the ant mounds. 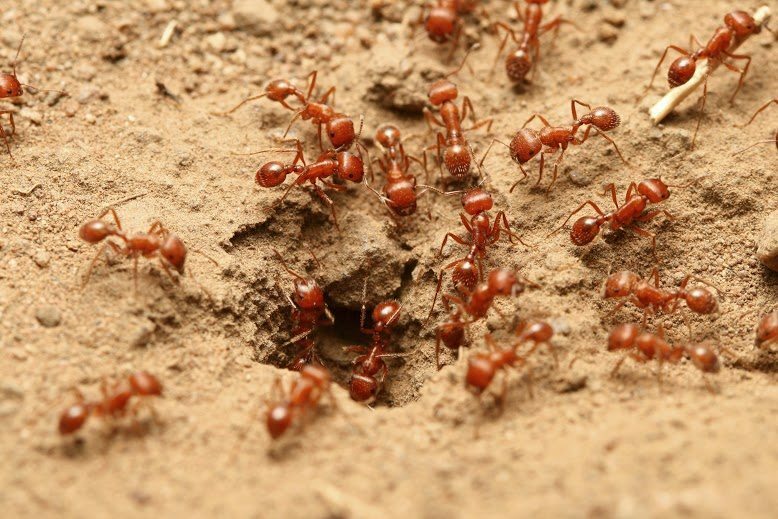 This can be dangerous because of the aggressive nature of fire ants so make sure to wear boots, gloves and feel free to take any other safety precautions. These chemicals will flood the colony with chemicals specifically made to kill ants. When pouring make sure you get the entire mound wet as it will soak through and kill any ants near the surface. When you have poured the recommended amount wait a day before touching the ant mound again. This is to give the chemical time to work its magic. The next day asses whether you need to repeat this action or if it worked on the first application. Method 2: Powdered ant killer works a little different. You want to spread the powder all around the mound in a circle. This can be dangerous because of the aggressive nature of fire ants so make sure to wear boots, gloves and feel free to take any other safety precautions. Keep children and pets away. Be very liberal with the powder as it will stop the ants from leaving that area. Ants will take this powder back to their queen and colony where they will be poisoned and die. Once you think the ant colony is dead make sure you keep an eye on it. If you see ants trailing back and forth that means it probably did not work. Try a different type of chemical. Remember that wiping out a colony can take anywhere from 10 days to 2 weeks, so patients is key. If your problem persist you may want to contact professionals. If you need professional help please call us at (904) 721-0182. Safety- You won’t have to worry about children, pets, or even yourself getting bitten. 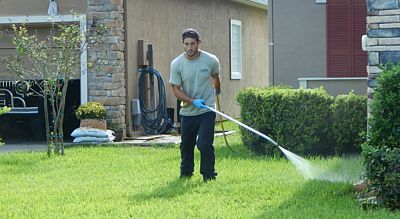 Ease- We take care of any lawn pest, so you won’t have to. 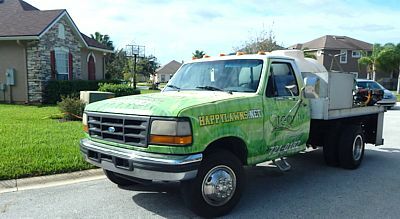 Experience- We have over 14 years of experience dealing with lawn pest. Great prices- As a local company we pride ourselves in our fair and competitive pricing. Feel free to browse our other blog topics and to browse this site for more ways we can be of assistance to you. 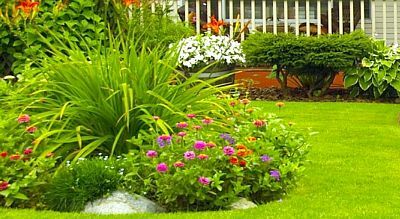 Call Integrity Lawn & Ornamental today for a free consultation to help design the perfect personalized program for your lawn care. Or, you may simply fill out the quote request form to get started protecting your home/commercial property today. 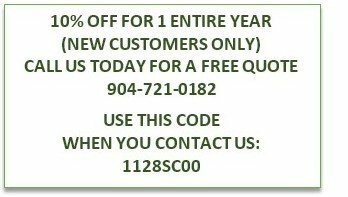 Call (904) 721-0182 to schedule your FREE evaluation today. Or fill out a quote request below.